Request Invitation to facebook discussion group "Investing for the Long Term" to join our closed group. 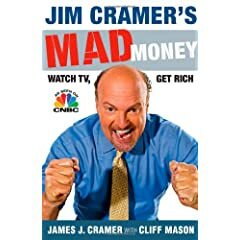 Jim Cramer's Salary Agreement: In consideration for providing these services, Mr. Cramer's salary will be $500,000 per annum for the remainder of 2005, $750,000 for fiscal 2006 and $1,000,000 for fiscal 2007. In addition, he will continue to be paid the radio talent fee (currently $363,000 per annum) paid to the Company by Buckley Broadcasting Corp.-WOR under the Company's radio agreement. Mr. Cramer is also eligible to receive stock option awards and annual bonuses under the Company's annual incentive plan, in each case as determined by the Compensation Committee of the Board of Directors. 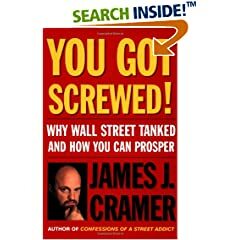 Important disclaimer: This site is not associated with Jim Cramer or his businesses or websites, or any television broadcast company, or website entity. Accuracy of this information is attempted, but is not guaranteed. Do not use this site to make your financial investing decisions. Consult a professional financial advisor. 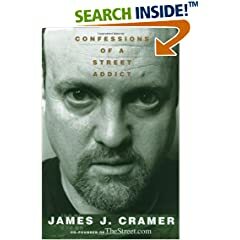 This site simply reports information that we found on the internet or from watching Jim Cramer on TV.